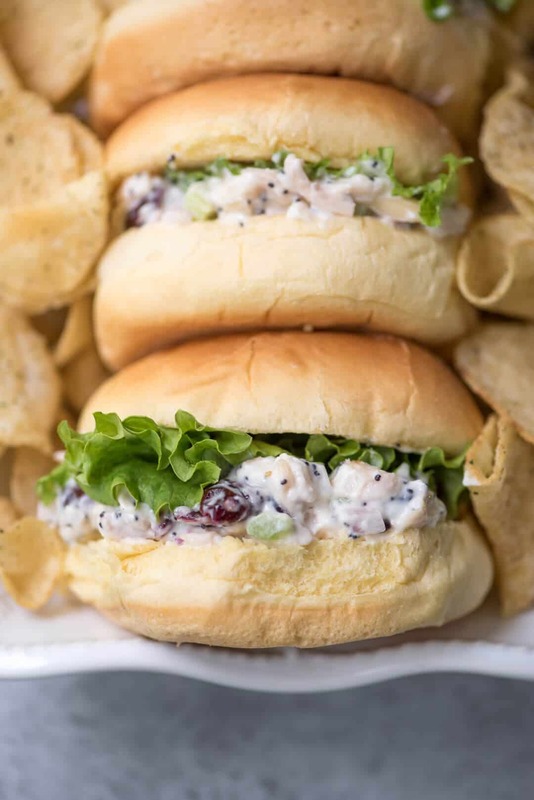 A tangy, lightly sweet poppy seed dressing graces this pretty Cranberry Almond Poppy Seed Chicken Salad. 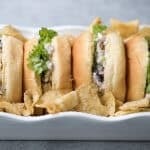 Layer it with lettuce on potato buns for a delicious, light meal. Perfect for a spring buffet! This newest addition to my chicken salad family has been waiting to make an appearance here for years and I’m so happy that today is the day. Friends, it is wonderful! Any recipe involving poppy seeds seems appropriate for spring and Easter to me. Not sure what the deal is with that, but that’s the facts man. 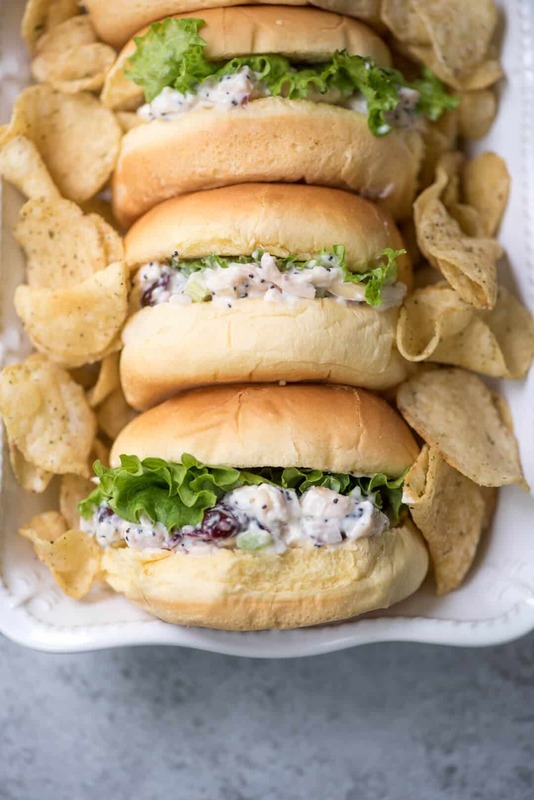 I can picture these little sandwiches on the table mixed in with all the other offerings at an Easter buffet. 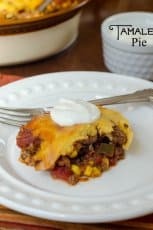 They also make for a super delicious lunch or light dinner any old time of year. And, it’s one more way for me to use rotisserie chicken. Always a fabulous shortcut. 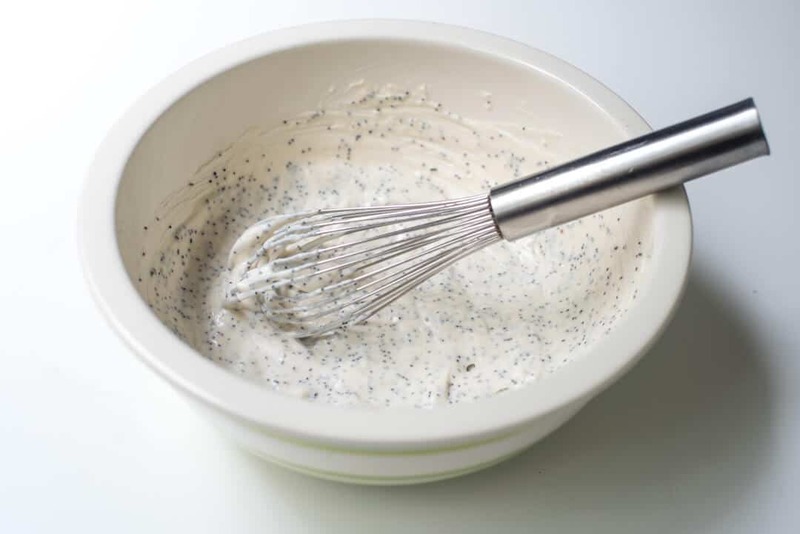 This from-scratch poppy seed dressing really makes this recipe incredible. Some mayo, a little Greek yogurt, a touch of sugar and apple cider vinegar for that sweet-tang. A couple of simple seasonings and poppy seeds complete the picture. 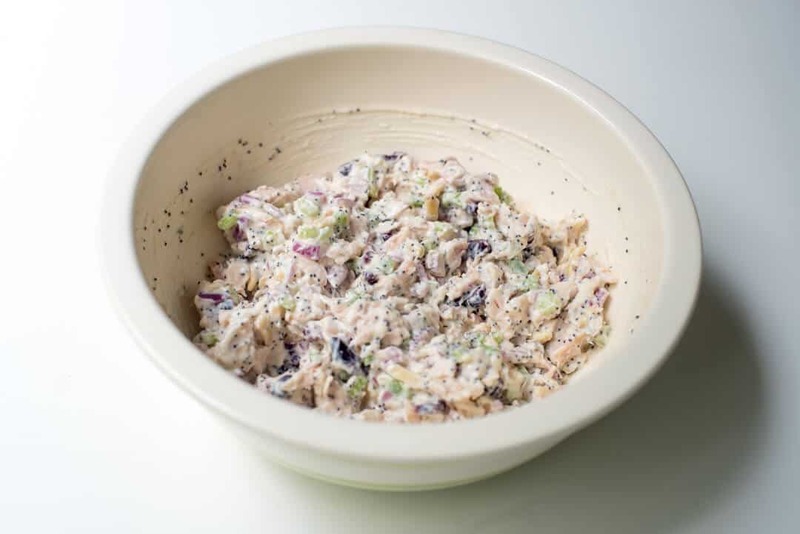 A tangy, lightly sweet poppy seed dressing graces this pretty Cranberry Almond Poppy Seed Chicken Salad. 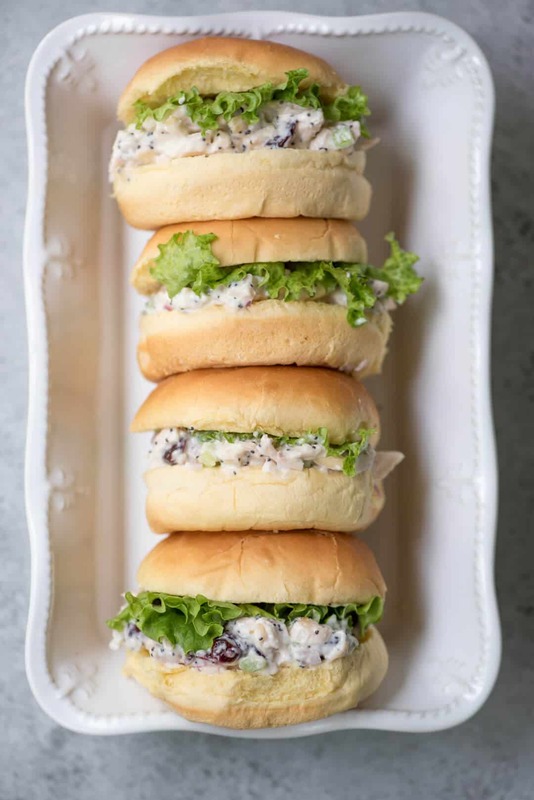 Layer it on rolls for a delicious, light meal! 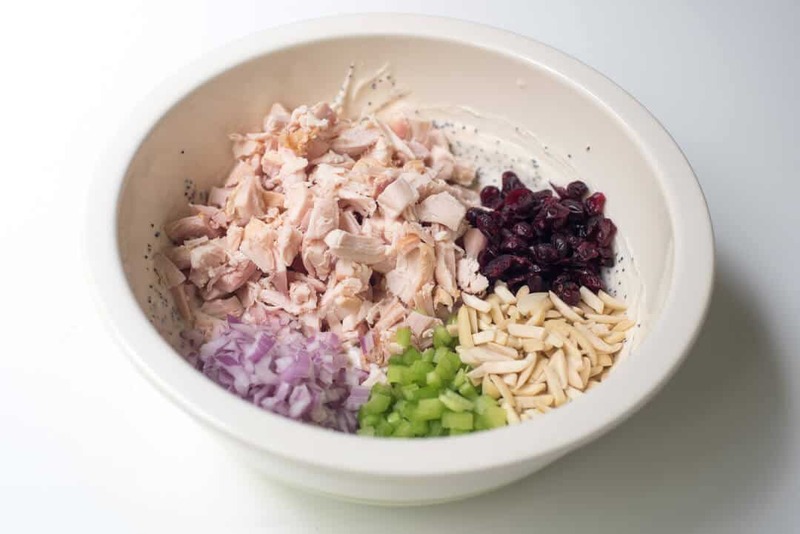 Then, it’s just a matter of adding some dried cranberries, slivered almonds, celery, red onion, and the chicken. Combine the mixture and it is ready to serve. This salad is delicious immediately upon mixing or cover and refrigerate until ready to serve. It is absolutely delicious served on these little potato buns but I also love it on lightly toasted sliced sourdough or a flaky croissant. 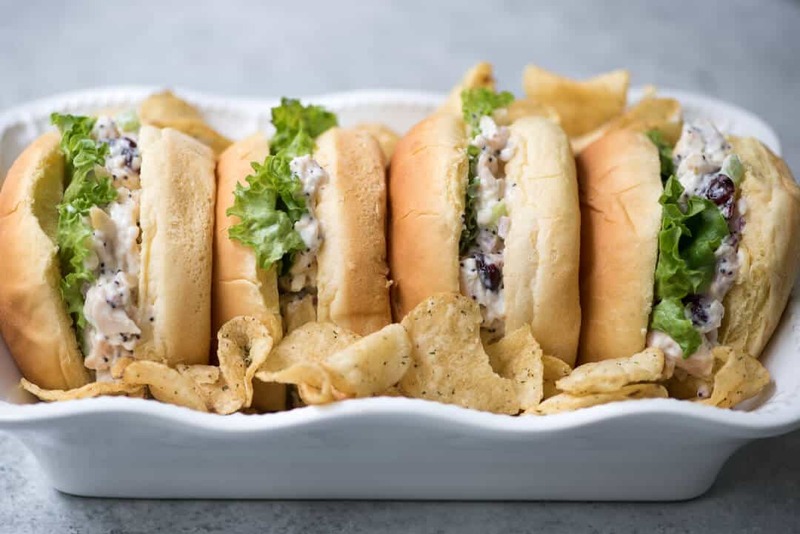 Serve on slider rolls, croissants, wraps, or lightly toasted bread with lettuce leaves. 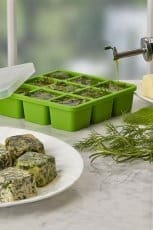 Cover and immediately refrigerate any leftovers. 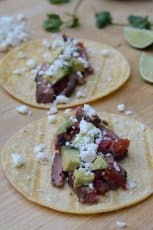 My wife whipped us up a batch of this, it’s excellent! 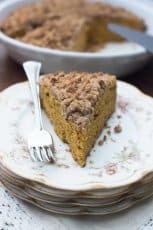 Light, creamy, tangy, poppy seeds and almonds give it a nice crunch. You’re really making a believer out of me on the yogurt/mayo dressing thang.